Setting up a fashion brand is many people’s dream, but if you have the right skills and the right attitude, there’s no reason why you shouldn’t be able to make a success of it. Do you love fashion enough to work long hours and have late nights? Do you have tailoring skills or a business partner who can translate your ideas into workable designs? Can you get other people excited about your ideas? If the answer to all these questions is yes, it’s time to get down to the practicalities. 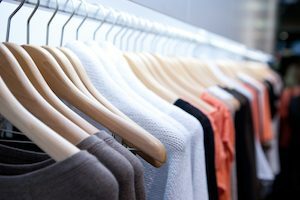 Every business needs a unique selling point, and that’s no less true in fashion. People will need a reason to buy your clothes. That could be because your designs are unusual, because they suit a lifestyle or demographic that isn’t adequately catered for, because they’re high quality, or because they’re ethically produced. There’s also a place for affordable stylish clothes, but this is a very difficult one for British businesses because of the competition from sweatshops abroad. Whatever niche you choose, you’ll have to identify your competitors and make sure that you can stay one step ahead. Unless you come from a finance background, the chances are you’ll face a steep learning curve when it comes to managing your money. Your local business support centre may be able to give you a loan or help you apply for grants and it can provide you with free advice. You may be able to take a short course to improve your skills. Even then, it’s often a good idea to bring in a specialist to deal with things such as accounting and payroll. Doing this through an umbrella company is often the cheapest option as it means you’ll get expert help but won’t need to pay someone to be around full-time. Before setting up, you’ll need to identify suppliers. Many people going into fashion are surprised by how hard to can be to get hold of the fabrics they want. Don’t buy at retail prices. There are a couple of places in Brighton that offer good enough prices to be useful for odds and ends, such as when you run out of thread, but for bulk fabric you should be looking at the big wholesalers. Many now operate online, which makes things easier, but means you need to factor in delivery times. You’ll need space to store your fabric and other materials as well as space for laying out designs and sewing. A lot of sewing work can be outsourced, but that means you’ll have to be careful about quality control. Online business or traditional boutique? These days, many people operate their fashion business entirely online. This cuts down on overheads and can be a very effective way of reaching particular types of customer, but it means you’ll have to work extra hard to market your brand because you’ll be competing in a global marketplace. The alternative is running a traditional boutique, and this can be quite a practical way to start out if your street-facing sales space joins onto a back room that you can use as your workshop. If you can get a good spot, people will see your designs in the window and your brand name up above as they walk down the street. A local focus also means that you can connect with the local radio stations and the Argus to generate some free publicity, especially if you’re running events such as fashion shows. Fashion is a tough business, and you will need to devote every minute of your life to brand building if you’re going to make it big, but setting up your own brand can also be a great way to make money doing what you love.